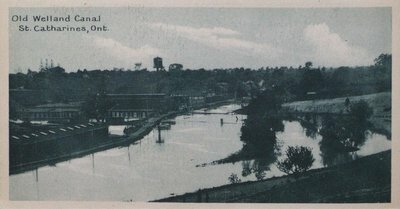 Souvenir of St. Catharines postcards. The Old Welland Canal, St. Catharines Ontario. c1924-1930. Published by Photogelatine Engraving Co., Ltd., Ottawa.